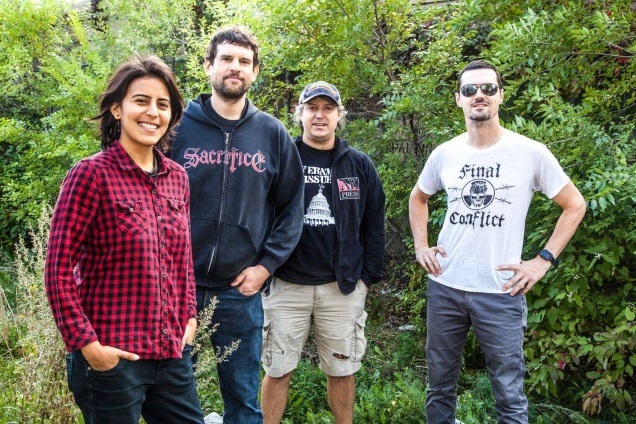 PROPAGANDHI teasing new demos compilation; “Without Love” demo streaming now! Canadian punk rock / melodic hordcore punks PROPAGANDHI have unveiled a new demo compilation called ‘The Supporting Caste Demos’, serving a fine set of early versions of tracks released on their 2009 record ‘Supporting Caste’, PROPAGANDHI’s fifth full-length album, released via G7 Welcoming Committee Records and Smallman Records, Hassle Records, and Grand Hotel van Cleef. The record was followed by Failed States LP, released in September 2012. You can now stream one of the demos, “Without Love”. These are the mostly complete demos we recorded in Chris’s basement for the album Supporting Caste in October 2008 just before we went down to the Blasting Room to make the real record with Bill Stevenson and Jason Livermore. For superfans only obviously. My memories of him finally fade away? Every single precious breath you’ve ever wasted? To take my life instead of hers. But no amount of money, drugs or tears could keep her here. What purpose did her suffering serve? But this world ain’t nothing more than what we make of it. The kindred spirits in our lives. Lives so brief, so disappointing, so confusing. To “Please don’t leave me.